Beavers, Perch And Water Hyacinth Can Wreak Havoc On Environments, Economies And Health : Goats and Soda Developing countries have been invaded by 200-pound Nile perch, pretty flowers and beavers. A new study asks: What's the impact? Water so thick with weeds that boats can't cross. Monster fish that eat everything in their paths. Cattle with blisters that bubble over their mouths. These are the impacts of invasive species. More than 16 percent of the world's land may be vulnerable to invasion by non-native plants and animals, new research shows. A team of British and American scientists surveyed which areas around the world were most likely to be settled by invasive species; the results of their research were published in Nature Communications. They found that a large portion of the world is exposed to invasion — and that many of the most vulnerable areas are in developing countries, including in southeast Asia and southern Africa. If invasive species take hold, they could pose threats to the environments and economies in some countries, according to the authors. "It was surprising to me how many areas in developing nations were suggested to be under threat because we generally don't think about there being a whole lot of commerce and trade in those nations," says Jeffrey Dukes, a forestry professor at Purdue University and one of the paper's authors. Both commerce and trade are common ways that invasive species enter a new area. And countries like India and Thailand do have enough trade and travel to make them vulnerable to invasive species. What's more, they have ecosystems compromised by climate change, wildfire and clear-cutting for agriculture. These weakened habitats provide opportunities for new species to settle in, and many developing countries are inadequately prepared to detect or respond to such invasions. "They did a pretty good job of outlining the issues," says Keith Douce, co-director of the Center for Invasive Species and Ecosystem Health at the University of Georgia. Douce, who was not involved in the study, says the paper's emphasis on air travel as a primary means of introducing species to developing countries is interesting. "The paper shows the need for early detection and rapid response to invasive species. These are really important issues." Water hyacinth: These green plants that float on the water and boast beguiling lavender flowers don't look threatening. But their looks have helped blind people to the potential danger they could pose. "It comes from South America in the Amazon basin and it was introduced to many places because it was a beautiful plant," Dukes says. These introductions occurred throughout the 19th and 20th centuries. 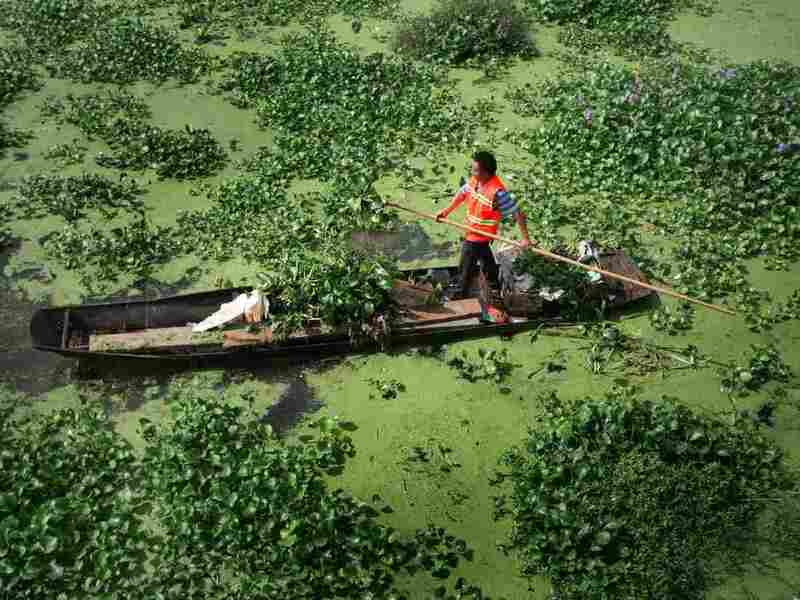 But the weed has done too well, spreading rapidly across the watery surfaces of 50 countries, preventing sunlight from reaching other aquatic species and creating thickets too dense for fishing boats to travel through. The plant also decreases water flow, creating regions of still water ripe for mosquito reproduction. The water hyacinth is estimated to cost $100 million to African economies each year, due to loss of fishing income and other related activities. There's a bit of good news. Kenya, Tanzania and Uganda have had some success fighting the weed in Lake Victoria. The countries introduced another nonnative species in 1997 — South American weevils — to eat the water hyacinth. The weevils reduced the hyacinth by 85 percent in the lake, according to the Centre for Agriculture and Biosciences International. In this case, introducing one nonnative species helped control another. But the plant is still widespread in many countries. In fact, in Cambodia, one toilet design has incorporated the plants as a way to help clean the water. Wastewater flows into a bag filled with bacteria and fungi that breaks the waste down into gases. Then the microbes that remain go into a pod filled with water hyacinth. The remaining bacteria stick to the roots. 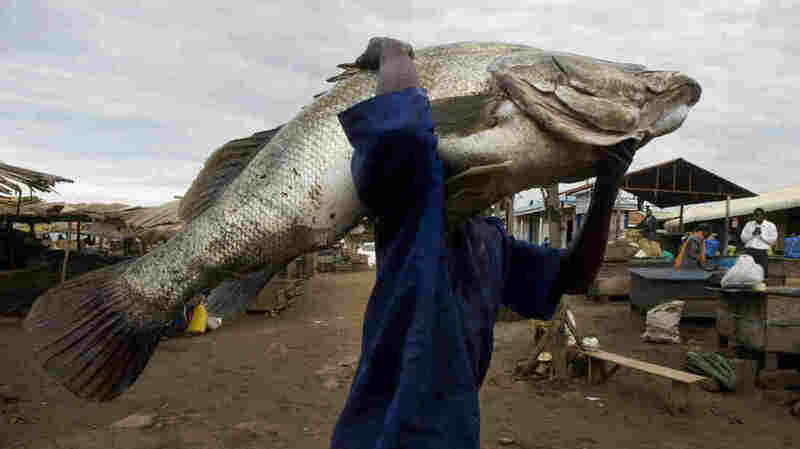 Nile perch: The British introduced this hulking fish (which can grow longer than 6 feet and weigh more that 440 pounds) to Lake Victoria in 1962 as a food source. Until then, most local fishers had collected small cichlid fishes native to the lake and dried them on the shore in the sun, according to Dukes. Perch popularity quickly grew but so did their appetites. The invaders gobbled 200 native fish species into extinction. The perch's damage extended beyond the lake: Because the fish were too big to be sun-dried, fishermen needed more firewood to smoke the fishes. So they cut down forest around the lake, which led to erosion and encouraged the growth of water hyacinth. "One ill-conceived introduction led to a total shift in economy and drove a whole bunch of extinctions and deforestation and more invasion," Dukes says. The weed quickly spread through agricultural fields and crowded out up to 90 percent of other plants, like beans and grains, according to Dukes. Cutting or burning merely regenerates the plant. It's still widespread in many parts of India. Lantana camara: This hedge, sporting miniature bursts of orange and yellow flowers, was introduced to India, Sri Lanka and other tropical countries as an ornamental plant in the 1800s. (It escaped from the Royal Botanic gardens of Sri Lanka in 1926.) "It's theoretically good as a hedge plant because it forms a thicket you can't get through very easily," explains Dukes. "But it doesn't grow in a straight line. It grows into your pasture." If cattle or sheep eat the plants, they become overly sensitive to sunlight, resulting in blisters on the animals' noses, eyes and mouths. Dukes says the blisters can complicate breathing and eating, ultimately killing some animals. Beavers: North American beavers were introduced to Tierra del Fuego on the border of Chile and Argentina in 1946 to grow a fur trade, according to Dukes. The animals promptly set about gnawing trees to make dams. Unlike many North American trees, their South American counterparts could not regrow easily after cutting. The forest habitat was significantly altered, leaving space for new invasive plants to move in. The beavers, which have climbed in number from 50 to 100,000, have so altered the landscape that park rangers in Chile and Argentina are working to trap and kill all of the region's beavers.